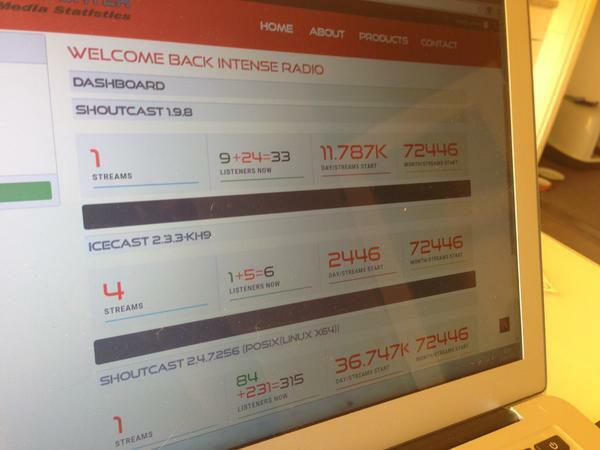 Lately we receive more and more questions from our customers asking us if it’s possible to provide more extensive stream statistics for their radio station. They like to use the statistics for themselves but also their advertisers. For this group it’s very important to know how much streamstarts and listeners a radio station has per day and per month. Furthermore, it is also important for advertisers to know in which region their target audience is located. Customers of us who stream with Centovacast are already familiar with these kind of statistics, but they are definitely not as accurate like our current developed application. Centovacast also doesn’t measure the streamstarts for your station. As you can see we have been busy developing the past six months. At the moment we’re working on streamlining the Stream Reporter application and hope to launch it a.s.a.p. Last updated by M. van Dop at 8 October 2015 .